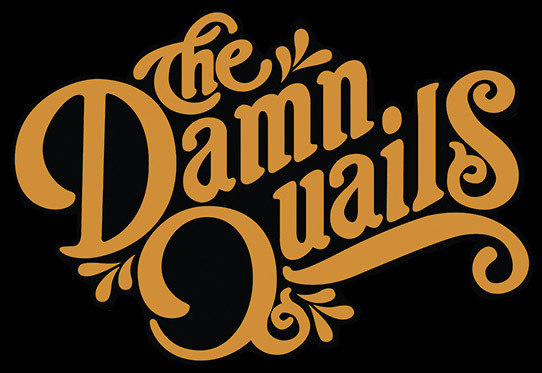 The Damn Quails carry on the great Oklahoma tradition of songwriting that draws from countless genres and has produced many memorable songs, bands, singers, and moments. They are proud to be part of such a rich musical heritage. They have taken their cue from their musical predecessors and forged their own and style that they loosely refer to Folk Rock. From the beginning Bryon and Gabe have had Thomas Young as their drummer. Not only does he keep the beat, but he also serves as a very stabilizing character that provides a very solid foundation on which the guys have built their musical monuments. Joining them playing a vast array of instruments is Kevin “Haystack” Foster. Kevin is a brilliant musician and singer who adds a dimension to the show that is undeniable. It seems like he has been there forever. On bass you have a close friend of Kevin’s and a ball of positivity and energy known as Dillon Sampson. Dillon and Kevin attended South Plains College in Texas where they studied music. They are proud to bring their friendship and dedication to great playing to The Damn Quails. Upon its release “Down the Hatch” quickly became a favorite of both music critics and a growing legion of fans that is now refereed to as “The Covey”. The record spawned the radio singles “Fool’s Gold”, “So So Long”, and “Me and the Whiskey”. Just as the band was hitting its stride, they suddenly found themselves in a legal struggle with their management company and record label. The situation soon deteriorated in such a way that lawsuits were filed and the band found itself fighting to keep the rights to their own name, music, likeness, and everything associated with The Damn Quails.